If you don’t just want to go someplace where you’re happy, but rather, to a college that inspires you, Oberlin College could be right for you. Oberlin is a small liberal arts college in Ohio, but there are many. What makes Oberlin different? An interdisciplinary approach. Oberlin students can take clusters of courses – three at time, all in the same semester – that analyze the same issue from different perspectives. This fosters dialogue and understanding, which plays to another of Oberlin’s strengths: dialogue and discussion. While Oberlin is known for its political progressivism, protests are not held in a vacuum; each is typically accompanied by teach-ins, dialogues, discussions and workshops. People who come here want to be challenged. “I don’t think anyone leaves here without having their views changed in some way,” said our tour guide. ‘Next practices,’ not just ‘best practices.’ Oberlin College has always been ahead of its peers. The first college to offer women admission in 1837, Oberlin was also the first to offer co-ed housing in 1970. Not surprisingly, Oberlin was the first to have gender-neutral bathrooms – in fact they did it in the 1980s, before the term ‘gender-neutral’ was coined! And Oberlin College brought in Japanese students who had been interned or expelled from their West Coast colleges during World War 2. 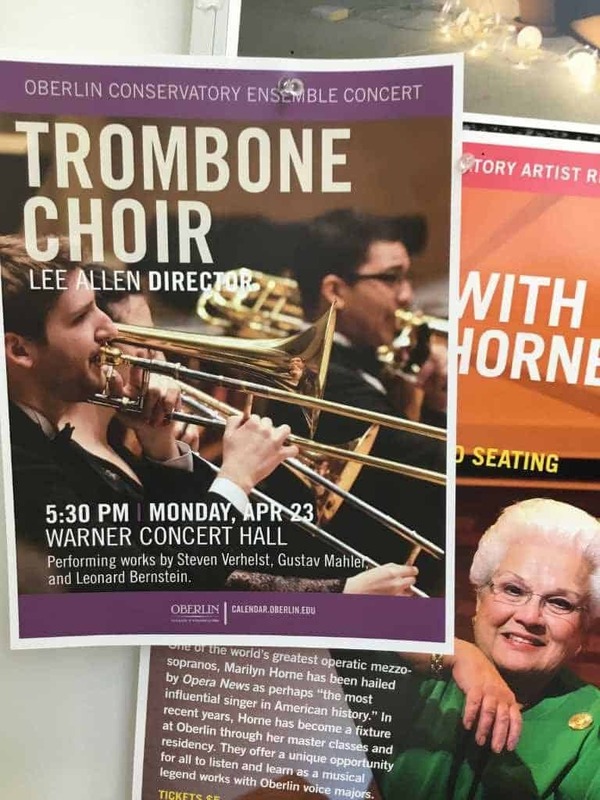 One very large differentiator for Oberlin College is that it has both a liberal arts college and a Conservatory of Music – it’s one of the only top liberal arts colleges with a top conservatory on the same campus. Students can double major with both a music degree and a liberal arts degree, although it is likely to take more than 4 years. There are 600 Conservatory students and about 2000 liberal arts students on campus. They are seamlessly integrated into campus life, and Conservatory students take about s third of their classes in the College. Contributing to the artistic sense at Oberlin College is a world-class art gallery on campus. Through the unique art rental program, students can rent a piece of art – incredible pieces by Picasso, Dali and other famous artists – for $5 a semester. Students line up the morning that the pieces are released each semester, and Oberlin has never had a lost, stolen or damaged art piece. Oberlin has a tradition called the Experimental College, or Exco, in which both professors and students can teach any subject in which they have an interest and expertise. Most of the courses taught through Exco are a half or one credit, but it provides an opportunity for an even broader range of academic offerings. About a quarter of students live in an entirely student-run co-op, where they donate 4-5 hours per week working on all of their own cooking and cleaning responsibilities. There are also 8 dining co-ops; students can live in or eat in these co-ops for any or all of their years at Oberlin. This system is likely the largest student co-op system in country. The 8 different eating options means everyone doesn’t gather together in the same dining hall for food; students socialize through their extra-curriculars and academics rather than through dining. Oberlin’s campus has a warm and open vibe; you can feel the authentic love for learning among Oberlin students and their honest desire to learn from each other and contribute to the world in an intellectual way. Students and professors are definitely left-leaning and a moderate or conservative student might not find many friends or allies here. 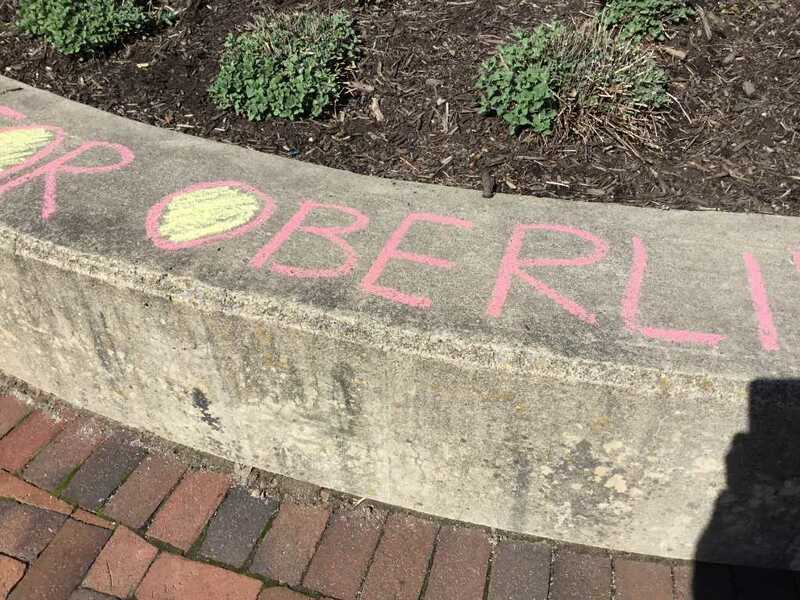 Oberlin has had some issues with perceived anti-Semitism and anti-Israel sentiment on campus, which is connected to the very progressive political culture. The Conservatory adds to the artsy feeling, with serious musicians making up about a quarter of the community. The town of Oberlin, immediately adjacent to the College, offers a variety of coffee houses, dining options and independent shops and adds to the quirky experience. Oberlin is highly selective, and is very much looking for students who fit into this unique community. You’ll need to demonstrate through your coursework and your essays that you are the kind of student who will benefit from and contribute to this special learning environment. Merit aid is offered, but you’re not likely to get it if you apply Early Decision. 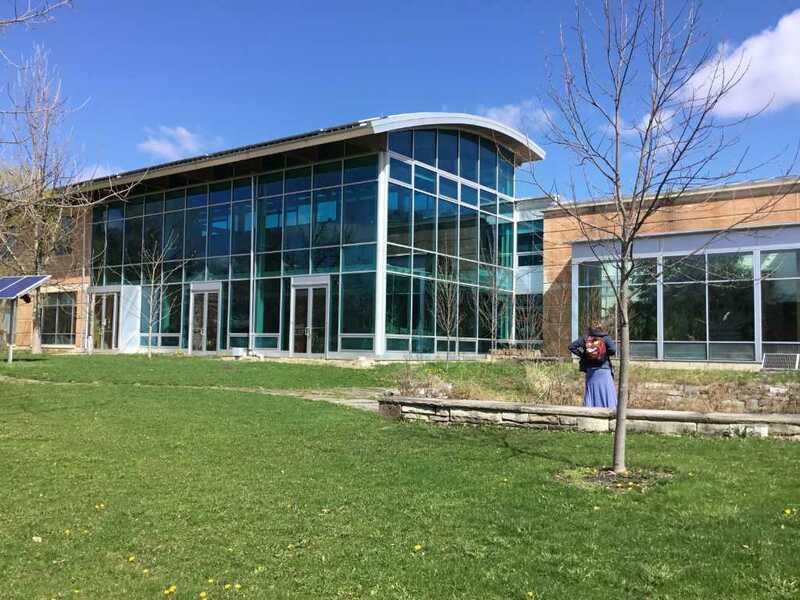 Evelyn visited Oberlin College in Spring of 2018, and you can scroll through all of her photos below.